Cromwell contrasted with Louis XIV. 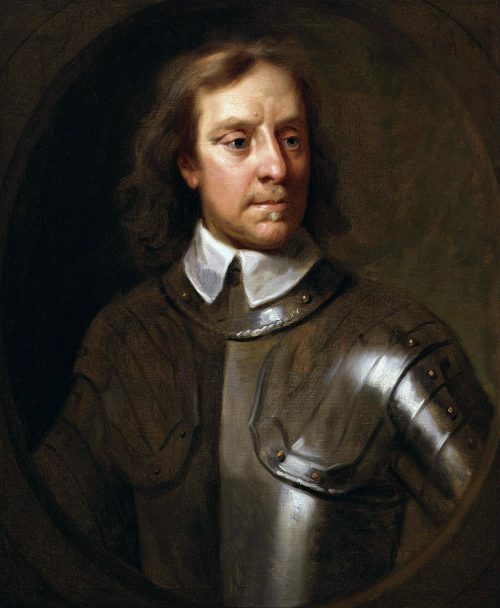 The most difficult character in history to treat critically, and the easiest to treat rhetorically, perhaps, is Oliver Cromwell; after two centuries and more he is still a puzzle: his name, like that of Napoleon, is a doubt. Some regard him with unmingled admiration; some detest him as a usurper; and many look upon him as a hypocrite. Nobody questions his ability; and his talents were so great that some bow down to him on that account, out of reverence for strength, like Carlyle. On the whole he is a popular idol, not for his strength, but for his cause, since he represents the progressive party in his day in behalf of liberty,–at least until his protectorate began. Then new issues arose; and while he appeared as a great patriot and enlightened ruler, he yet reigned as an absolute monarch, basing his power on a standing army. But whatever may be said of Cromwell as statesman, general, or ruler, his career was remarkable and exceedingly interesting. His character, too, was unique and original; hence we are never weary of discussing him. In studying his character and career, we also have our minds directed to the great ideas of his tumultuous and agitated age, for he, like Napoleon, was the product of revolution. 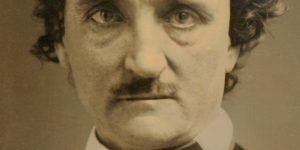 He was the offspring of mighty ideas,–he did not create them; original thinkers set them in motion, as Rousseau enunciated the ideas which led to the French Revolution. The great thinkers of the sixteenth and seventeenth centuries were divines, the men whom the Reformation produced. It was Luther preaching the right of private judgment, and Calvin pushing out the doctrine of the majesty of God to its remotest logical sequence, and Latimer appealing to every man’s personal responsibility to God, and Gustavus Adolphus fighting for religious liberty, and the Huguenots protesting against religious persecution, and Thomas Cromwell sweeping away the abominations of the Papacy, and the Geneva divines who settled in England during the reign of Elizabeth,–it was all these that produced Oliver Cromwell. He was a Puritan, and hence he was a reformer, not in church matters merely, but in all those things which are connected with civil liberty,–for there is as close a connection between Protestantism and liberty as between Catholicism and absolutism. The Puritans intensely hated everything which reminded them of Rome, even the holidays of the Church, organs, stained-glass, cathedrals, and the rich dresses of the clergy. They even tried to ignore Christmas and Easter, though consecrated by the early Church. They hated the Middle Ages, looked with disgust upon the past, and longed to try experiments, not only in religion, but in politics and social life. The only antiquity which had authority to them was the Jewish Commonwealth, because it was a theocracy, and recognized God Almighty as the supreme ruler of the world. Hence they adhered to the strictness of the Jewish Sabbath, and baptized their children with Hebrew names. Now to such a people, stern, lofty, ascetic, legal, spiritual,–conservative of whatever the Bible reveals, yet progressive and ardent for reforms,–the rule of the Stuarts was intolerable. It was intolerable because it seemed to lean towards Catholicism, and because it was tyrannical and averse to changes. The King was ruled by favorites; and these favorites were either bigots in religion, like Archbishop Laud, or were tyrannical or unscrupulous in their efforts to sustain the King in despotic measures and crush popular agitations, like the Earl of Strafford, or were men of pleasure and vanity like the Duke of Buckingham. Charles I. was detested by the Puritans even more than his father James. They looked upon him as more than half a Papist, a despot, utterly insincere, indifferent to the welfare of the country, intent only on exalting himself and his throne at the expense of the interests of the people, whose aspirations he scorned and whose rights he trampled upon. In his eyes they had no rights, only duties; and duties to him as an anointed sovereign, to rule as he liked, with parliaments or without parliaments; yea, to impose taxes arbitrarily, and grant odious monopolies: for the State was his, to be managed as a man would manage a farm; and those who resisted this encroachment on the liberties of the nation were to be fined, imprisoned, executed, as pestilent disturbers of the public peace. He would form dangerous alliances with Catholic powers, marry his children to Catholic princes, appoint Catholics to high office, and compromise the dignity of the nation as a Protestant State. His ministers, his judges, his high officials were simply his tools, and perpetually insulted the nation by their arrogance, their venality, and their shameful disregard of the Constitution. In short, he seemed bent on imposing a tyrannical yoke, hard to be endured, and to punish unlawfully those who resisted it, or even murmured against it. He would shackle the press, and muzzle the members of parliament. Thus did this King appear to the Puritans,–at this time a large and influential party, chiefly Presbyterian, and headed by many men of rank and character, all of whom detested the Roman Catholic religion as the source of all religious and political evils, and who did not scruple to call the Papacy by the hardest names, such as the “Scarlet Mother,” “Antichrist,” and the like. They had seceded from the Established Church in the reign of Elizabeth, and became what was then called Non-conformists. Had they been treated wisely, had any respect been shown to their opinions and rights,–for the right of worshipping God according to individual conscience is the central and basal pillar of Protestantism,–had this undoubted right of private judgment, the great emancipating idea of that age, been respected, the Puritans would have sought relief in constitutional resistance, for they were conservative and loyal, as English people ever have been, even in Canada and Australia. They were not bent on revolution; they only desired reform. So their representatives in Parliament framed the famous “Petition of Right,” in which were reasserted the principles of constitutional liberty. This earnest, loyal, but angry Parliament, being troublesome, was dissolved, and Charles undertook for eleven years to reign without one,–against all precedents,–with Stafford and Laud for his chief advisers and ministers. He reigned by Star Chamber decrees, High-commission courts, issuing proclamations, resorting to forced loans, tampering with justice, removing judges, imprisoning obnoxious men without trial, insulting and humiliating the Puritans, and openly encouraging a religion of “millineries and upholsteries,” not only illegally, but against the wishes and sentiments of the better part of the nation,–thus undermining his own throne; for all thrones are based on the love of the people. The financial difficulties of the King–for the most absolute of kings cannot extort all the money they want–compelled him to assemble another Parliament at an alarming crisis of popular indignation which he did not see, when popular leaders began to say that even kings must rule by the people and not without the people. This new Parliament, with Hampden and Pym for leaders, though fierce and aggressive, would have been contented with constitutional reform, like Mirabeau at one period. But the King, ill-advised, obstinate, blinded, would not accept reform; he would reign like the Bourbons, or not at all. The reforms which the Parliament desired were reasonable and just. It would abolish arbitrary arrests, the Star Chamber decrees, taxes without its consent, cruelty to Non-conformists, the ascendency of priests, irresponsible ministers, and offensive symbols of Romanism. If these reforms had been granted,–and such a sovereign as Elizabeth would have yielded, however reluctantly,–there would have been no English revolution. Or even if the popular leaders had been more patient, and waited for their time, and been willing to carry out these reforms constitutionally, there would have been no revolution. But neither the King nor Parliament would yield, and the Parliament was dissolved. The next Parliament was not only angry, it was defiant and unscrupulous. It resolved on revolution, and determined to put the King himself aside. It began with vigorous measures, and impeached both Laud and Strafford,–doubtless very able men, but not fitted for their times. It decreed sweeping changes, usurped the executive authority, appealed to arms, and made war on the government. The King also on his part appealed to the sword, which now alone could settle the difficulties. The contest was inevitable. The nation clamored for reform; the King would not grant it; the Parliament would not wait to secure it constitutionally. Both parties were angry and resolute; reason departed from the councils of the nation; passion now ruled, and civil war began. It was not, at first, a question about the form of government,–whether a king or an elected ruler should bear sway; it was purely a question of reforms in the existing government, limiting of course the power of the King,–but reforms deemed so vital to the welfare of the nation that the best people were willing to shed their blood to secure them; and if reason and moderation could have borne sway, that angry strife might have been averted. But people will not listen to reason in times of maddening revolution; they prefer to fight, and run their chances and incur the penalty. And when contending parties appeal to the sword, then all ordinary rules are set aside, and success belongs to the stronger, and the victors exact what they please. The rules of all deadly and desperate warfare seem to recognize this. The fortune of war put the King into the hands of the revolutionists; and in fear, more than in vengeance, they executed him,–just what he would have done to their leaders if he had won. “Stone-dead,” said Falkland, “hath no fellow.” In a national conflagration we lose sight of laws, even of written constitutions. Great necessities compel extraordinary measures, not such as are sustained either by reason or precedents. The great lesson of war, especially of civil war, is, that contending parties might better make great concessions than resort to it, for it is certain to demoralize a nation. Heated partisans hate compromise; yet war itself generally ends in compromise. It is interesting to see how many constitutions, how many institutions in both Church and State, are based on compromise. Cromwell on his farm, one of the landed gentry, had a Cambridge education, and was early an influential man. His sagacity, his intelligence, his honesty, and his lofty religious life marked him out as a fit person to represent his county in parliament. He at once became the associate of such men as Hampden and Pym. He did not make very graceful speeches, and he had an ungainly person; but he was eloquent in a rude way, since he had strong convictions and good sense. He was probably violent, for he hated the abuses of the times, and he hated Rome and the prelacy. He represented the extreme left; that is, he was a radical, and preferred revolution to tyranny. Yet even he would probably have accepted reform if reform had been possible without violence. But Cromwell had no faith in the King or his ministers, and was inclined to summary measures. He afterwards showed this tendency of character in his military career. He was one of those earnest and practical people who could not be fooled with. So he became a leader of those who were most violent against the Government During the Long Parliament, Cromwell sat for Cambridge; which fact shows that he was then a marked man, far from being unimportant. This was the Parliament, assembled in 1640, which impeached Strafford and Laud, which abolished the Star Chamber, and inaugurated the civil war, that began when Charles left Whitehall, January, 1642, for York. The Parliament solicited contributions, called out the militia, and appointed to the command of the forces the Earl of Essex, a Presbyterian, who established his headquarters at Northampton, while Charles unfurled the royal standard at Nottingham. Cromwell was forty-two when he buckled on his sword as a volunteer. He subscribed five hundred pounds to the cause of liberty, raised a troop of horse, which gradually swelled into that famous regiment of one thousand men, called “Ironsides,” which was never beaten. Of this regiment he was made colonel in the spring of 1643. He had distinguished himself at Edgehill in the first year of the war, but he drew upon himself the eyes of the nation at the battle of Marston Moor, July, 1644,–gained by the discipline of his men,–which put the north of England into the hands of Parliament. He was then lieutenant-general, second in command to the Earl of Manchester. The second battle of Newbury, though a success, gave Cromwell, then one of the most influential members of Parliament, an occasion to complain of the imbecility of the noblemen who controlled the army, and who were Presbyterians. The “self-denying ordinance,” which prohibited members of Parliament from command in the army, was a blow at Presbyterianism and aristocracy, and marked the growing power of the Independents. It was planned by Cromwell, although it would have deprived him also of his command; but he was made an exception to the rule, and he knew he would be, since his party could not spare him. Then was fought the battle of Naseby, June 14, 1645, in which Cromwell commanded the right wing of the army, Fairfax (nominally his superior general) the centre, and Ireton the left; against Prince Rupert and Charles. The battle was won by the bravery of Cromwell, and decided the fortunes of the King, although he was still able to keep the field. Cromwell now became the foremost man in England. For two years he resided chiefly in London, taking an important part in negotiations with the King, and in the contest between the Independents and Presbyterians,–the former of which represented the army, while the latter still had the ascendency in Parliament. On the 16th of August, 1648, was fought the battle of Preston, in which Cromwell defeated the Scotch army commanded by the Duke of Hamilton, which opened Edinburgh to his victorious troops, and made him commander-in-chief of the armies of the Commonwealth. The Presbyterians, at least of Scotland, it would seem, preferred now the restoration of the King to the ascendency of Cromwell with the army to back him, for it was the army and not the Parliament which had given him supreme command. Then followed the rapid conquest of the Scots, the return of the victorious general to London, and the suppression of the liberty of Parliament, for it was purged of its Presbyterian leaders. The ascendency of the Independents began; for though in a minority, they were backed by an army which obeyed implicitly the commands and even the wishes of Cromwell. The great tragedy which disgraced the revolution was now acted. The unfortunate King, whose fate was sealed at the battle of Naseby, after various vicissitudes and defeats, put himself into the hands of the Scots and made a league with the Presbyterians. After Edinburgh was taken, they virtually sold him to the victor, who caused him to be brought in bitter mockery to Hampton Court, where he was treated with ironical respect. In his reverses Charles would have made any concessions; and the Presbyterians, who first took up arms against him, would perhaps have accepted them. But it was too late. Cromwell and the Independents now reigned,–a party that had been driven into violent measures, and which had sought the subversion of the monarchy itself. Charles is brought to a mock trial by a decimated Parliament, is condemned and executed, and the old monarchy is supplanted by a military despotism. “The roaring conflagration of anarchies” is succeeded by the rule of the strongest man. Much has been written and said about that execution, or martyrdom, or crime, as it has been variously viewed by partisans. It simply was the sequence of the revolution, of the appeal of both parties to the sword. It may have been necessary or unnecessary, a blunder or a crime, but it was the logical result of a bitter war; it was the cruel policy of a conquering power. Those who supported it were able men, who deemed it the wisest thing to do; who dreaded a reaction, who feared for themselves, and sought by this means to perpetuate their sway. As one of the acts of revolution, it must be judged by the revolution itself. The point is, not whether it was wrong to take the life of the King, if it were a military necessity, or seemed to be to the great leaders of the day, but whether it was right to take up arms in defence of rights which might have been gained by protracted constitutional agitation and resistance. The execution proved a blunder, because it did not take away the rights of Charles II., and created great abhorrence and indignation, not merely in foreign countries, but among a majority of the English people themselves,–and these, too, who had the prestige of wealth and culture. I do not believe the Presbyterian party, as represented by Hampden and Pym, and who like Mirabeau had applied the torch to revolutionary passions, would have consented to this foolish murder. Certainly the Episcopalians would not have executed Charles, even if they could have been induced to cripple him. But war is a conflagration; nothing can stop its ravages when it has fairly begun. They who go to war must abide the issue of war; they who take the sword must be prepared to perish by the sword. Thus far, in the history of the world, very few rights have been gained by civil war which could not have been gained in the end without it. The great rights which the people have secured in England for two hundred years are the result of an appeal to reason and justice. The second revolution was bloodless. The Parliament which first arrayed itself against the government of Charles was no mean foe, even if it had not resorted to arms. It held the purse-strings; it had the power to cripple the King, and to worry him into concessions. But if the King was resolved to attack the Parliament itself, and coerce it by a standing army, and destroy all liberty in England, then the question assumed another shape; the war then became defensive, and was plainly justifiable, and Charles could but accept the issue, even his own execution, if it seemed necessary to his conquerors. They took up arms in self-defence, and war, of course, brought to light the energies and talents of the greatest general, who as victor would have his reward. Cromwell concluded to sweep away the old monarchy, and reign himself instead; and the execution of the King was one of his war measures. It was the penalty Charles paid for making war on his subjects, instead of ruling them according to the laws. His fate was hard and sad; we feel more compassion than indignation. In our times he would have been permitted to run away; but those stern and angry old revolutionists demanded his blood. For this cruel or necessary act Cromwell is responsible more than any man in England, since he could have prevented it if he pleased. He ruled the army, which ruled the Parliament. It was not the nation, or the representatives of the nation, who decreed the execution of Charles. It was the army and the purged Parliament, composed chiefly of Independents, who wanted the subversion of the monarchy itself. Technically, Charles was tried by the Parliament, or the judges appointed by them; really, Cromwell was at the bottom of the affair, as much as John Calvin was responsible for the burning of Servetus, let partisans say what they please. There never has a great crime or blunder been committed on this earth which bigoted, or narrow, or zealous partisans have not attempted to justify. Bigoted Catholics have justified even the slaughter of St. Bartholomew. Partisans have no law but expediency. All Jesuits, political, religious, and social, in the Catholic and Protestant churches alike, seem to think that the end justifies the means, even in the most beneficent reforms; and when pushed to the wall by the logic of opponents, will fall back on the examples of the Old Testament. In defence of lying and cheating they will quote Abraham at the court of Pharaoh. There is no insult to the human understanding more flagrant, than the doctrine that we may do evil that good may come. And yet the politics and reforms of the sixteenth and seventeenth centuries seem to have been based on that miserable form of jesuitism. Here Machiavelli is as vulnerable as Escobar, and Burleigh as well as Oliver Cromwell, who was not more profound in dissimulation than Queen Elizabeth herself. The best excuse we can render for the political and religious crimes of that age is, that they were in accordance with its ideas. And who is superior to the ideas of his age? On the execution of the King, the supreme authority was nominally in the hands of Parliament. Of course all kinds of anarchies prevailed, and all government was unsettled. Charles II. was proclaimed King by the Scots, while the Duke of Ormond, in Ireland, joined the royal party to seat Charles II. on the throne. In this exigency Cromwell was appointed by the Parliament Lord-Lieutenant of Ireland. Then followed the conquest of Ireland, in which Cromwell distinguished himself for great military abilities. His vigorous and uncompromising measures, especially his slaughter of the garrison of Drogheda (a retaliatory act), have been severely commented on. But war in the hands of masters is never carried on sentimentally: the test of ability is success. The measures were doubtless hard and severe; but Cromwell knew what he was about: he wished to bring the war to a speedy close, and intimidation was probably the best course to pursue. Those impracticable Irish never afterwards molested him. In less than a year he was at leisure to oppose Charles II. in Scotland; and on the resignation of Fairfax he was made Captain-General of all the forces in the empire. The battle of Dunbar resulted in the total defeat of the Scots; while the “crowning mercy” at Worcester, Sept. 3, 1651, utterly blasted the hopes of Charles, and completely annihilated his forces. The civil war, which raged nine years, was now finished, and Cromwell became supreme. But even the decimated Parliament was jealous, and raised an issue,–on which Cromwell dissolved it with a file of soldiers, and assembled another, neither elective nor representative, composed of his creatures, without experience, chiefly Anabaptists and Independents; which he soon did away with. He then called a council of leading men, who made him Lord Protector, December 13, 1653. Even the shadow of constitutional authority now vanishes, and Cromwell rules with absolute and untrammelled power, like Julius Caesar or Napoleon Bonaparte. He rules on the very principles which he condemned in Charles I. The revolution ends in a military despotism. If there was ever a usurpation, this was one. Liberty gave her last sigh on the remonstrance of Sir Harry Vane, and a military hero, by means of his army, stamps his iron heel on England. He dissolves the very body from which he received his own authority he refuses to have any check on his will; he imposes taxes without the consent of the people,–the very thing for which he took up arms against Charles I.; he reigns alone, on despotic principles, as absolute as Louis XIV. ; he enshrouds himself in royal state at Hampton Court; he even seeks to bequeath his absolute power to his son. And if Richard Cromwell had reigned like his father Oliver, then the cause of liberty would have been lost. All this is cold, unvarnished history. We cannot get over or around these facts; they blaze out to the eyes of all readers, and will blaze to the most distant ages. Cromwell began as a reformer, but ended as a usurper. Whatever name he goes by, whatever title he may have assumed, he became, by force of his victories and of his army, the absolute ruler of England,–as Caesar did of Rome, and Napoleon of Paris. We may palliate or extenuate this fact; we may even excuse it on the ground that the State had drifted into anarchy; that only he, as the stronger man, could save England; that there was no other course open to him as a patriot; and that it was a most fortunate thing for England that he seized the reins, and became a tyrant to put down anarchies. But whatever were the excuses by which Cromwell justified himself, or his admirers justify him, let us not deny the facts. It may have been necessary, under his circumstances, to reign alone, by the aid of his standing army. But do not attempt to gloss over the veritable fact that he did reign without the support of Parliament, and in defiance of all constitutional authorities. It was not the nation which elevated him to supreme power, but his soldiers. At no time would any legitimate Parliament, or any popular voice, have made him an absolute ruler. He could not even have got a plebiscitum, as Louis Napoleon did. He was not liked by the nation at large,–not even by the more enlightened and conservative of the Puritans, such as the Presbyterians; and as for the Episcopalians, they looked upon him not only as a usurper but as a hypocrite. It is difficult to justify such an act as usurpation and military tyranny by the standard of an immutable morality. If the overturning of all constitutional authority by a man who professed to be a reformer, yet who reigned illegally as a despot, can be defended, it is only on the principle of expediency, that the end justifies the means,–the plea of the Jesuits, and of all the despots who have overturned constitutions and national liberties. But this is rank and undisguised Caesarism. The question then arises, Was it necessary that a Caesar should reign at Hampton Court? Some people think it was; and all admit that after the execution of the King there was no settled government, nothing but bitter, intolerant factions, each of which wished its own ascendency, and all were alike unscrupulous. Revolution ever creates factions and angry parties, more or less violent. It is claimed by many that a good government was impossible with these various and contending parties, and that nothing but anarchy would have existed had not Cromwell seized the reins, and sustained himself by a standing army, and ruled despotically. Again, others think that he was urged by a pressure which even he could not resist,–that of the army; that he was controlled by circumstances; that he could do no otherwise unless he resigned England to her fate,–to the anarchy of quarrelling and angry parties, who would not listen to reason, and who were too inexperienced to govern in such stormy times. The Episcopalians certainly, and the Presbyterians probably, would have restored Charles II.,–and this Cromwell regarded as a great possible calamity. If the King had been restored, all the fruit of the revolution would have been lost; there would have been a renewed reign of frivolities, insincerities, court scandals, venalities, favorites, and disguised Romanism,–yea, an alliance would have been formed with the old tyrants of Europe. Cromwell was no fool, and he had a great insight into the principles on which the stability and prosperity of a nation rested. He doubtless felt that the nation required a strong arm at the helm, and that no one could save England in such a storm but himself. I believe he was sincere in this conviction,–a conviction based on profound knowledge of men and the circumstances of the age. I believe he was willing to be aspersed, even by his old friends, and heartily cursed by his enemies, if he could guide the ship of state into a safe harbor. I am inclined to believe that he was patriotic in his intentions; that he wished to save the country even, if necessary, by illegal means; that he believed there was a higher law for him, and that an enlightened posterity would vindicate his name and memory. He was not deceived as to his abilities, even if he were as to his call. He knew he was the strongest man in England, and that only the strongest could rule. He was willing to assume the responsibility, whatever violence he should do to his early principles, or to the opinions of those with whom he was at first associated. If there was anything that marked the character of Cromwell, it was the abiding sense, from first to last, of his personal responsibility to God Almighty, whose servant and instrument he felt himself to be. I believe he was loyal to his conscience, if not to his cause. He may have committed grave errors, for he was not infallible. It may have been an error that he ruled virtually without a Parliament, since it was better that a good measure should be defeated than that the cause of liberty should be trodden under foot. It was better that parliaments should wrangle and quarrel than that there should be no representation of the nation at all. And it was an undoubted error to transmit his absolute authority to his son, for this was establishing a new dynasty of kings. One of the worst things which Napoleon ever did was to seat his brothers on the old thrones of Europe. 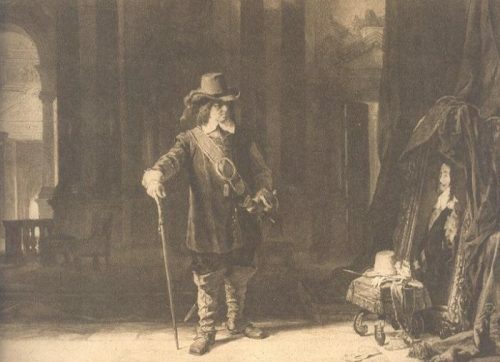 Doubtless, Cromwell wished to perpetuate the policy of his government, but he had no right to perpetuate a despotism in his own family: that was an insult to the nation and to the cause of constitutional liberty. Here he was selfish and ambitious, for, great as he was, he was not greater than the nation or his cause. But I need not dwell on the blunders of Cromwell, if we call them by no harsher name. It would be harsh to judge him for his mistakes or sins under his peculiar circumstances, his hand in the execution of Charles I., his Jesuitical principles, his cruelties in Ireland, his dispersion of parliaments, and his usurpation of supreme power. Only let us call things by their right names; we gain nothing by glossing over defects. The historians of the Bible tell us how Abraham told lies to the King of Egypt, and David caused Uriah to be slain after he had appropriated his wife. Yet who were greater and better, upon the whole, than these favorites of Heaven? Cromwell earned his great fame as one of the wisest statesmen and ablest rulers that England ever had. Like all monarchs, he is to be judged by the services he rendered to civilization. He was not a faultless man, but he proved himself a great benefactor. Whether we like him or not, we are compelled to admit that his administration was able and beneficent, and that he seemed to be actuated by a sincere desire to do all the good he could. If he was ambitious, his ambition was directed to the prosperity and glory of his country. If he levied taxes without the consent of the nation, he spent the money economically, wisely, and unselfishly. He sought no inglorious pomps; he built no expensive palaces; he gave no foolish fetes; nor did he seek to disguise his tyranny by amusing or demoralizing the people, like the old Roman Caesars. He would even have established a constitutional monarchy, had it been practicable. The plots of royalists tempted him to appoint major-generals to responsible situations. To protect his life, he resorted to guards. He could not part with his power, but he used it for the benefit of the nation. If he did not reign by or through the people, he reigned for the people. He established religious liberty, and tolerated all sects but Catholics and Quakers. The Presbyterians were his enemies, but he never persecuted them. He had a great regard for law, and appointed the ablest and best men to high judicial positions. Sir Matthew Hale, whom he made chief-justice, was the greatest lawyer in England, an ornament to any country. Cromwell made strenuous efforts to correct the abuses of the court of chancery and of criminal law. He established trial by jury for political offences. He tried to procure the formal re-admission of the Jews to England. He held conferences with George Fox. He snatched Biddle, the Socinian, from the fangs of persecutors. He fostered commerce and developed the industrial resources of the nation, like Burleigh and Colbert. He created a navy, and became the father of the maritime greatness of England. He suppressed all license among the soldiers, although his power rested on their loyalty to him. He honored learning and exalted the universities, placing in them learned men. He secured the union between England and Scotland, and called representatives from Scotland to his parliaments. He adopted a generous policy with the colonies in North America, and freed them from rapacious governors. His war policy was not for mere aggrandizement. He succeeded Gustavus Adolphus as the protector of Protestantism on the Continent. He sought to make England respected among all the nations; and, as righteousness exalts a nation, he sought to maintain public morality. His court was simple and decorous; he gave no countenance to levities and follies, and his own private life was pure and religious,–so that there was general admiration of his conduct as well as of his government. Cromwell was certainly very fortunate in his régime. The army and navy did wonders; Blake and Monk gained great victories; Gibraltar was taken,–one of the richest prizes that England ever gained in war. The fleets of Spain were destroyed; the trade of the Indies was opened to his ships. He maintained the “balance of power.” He punished the African pirates of the Mediterranean. His glory reached Asia, and extended to America. So great was his renown that the descendants of Abraham, even on the distant plains of Asia, inquired of one another if he were not the servant of the King of Kings, whom they were looking for. A learned Rabbi even came from Asia to London for the purpose of investigating his pedigree, thinking to discover in him the “Lion of the tribe of Judah.” If his policy had been followed out by his successors, Louis XIV. would not have dared to revoke the Edict of Nantes; if he had reigned ten years longer, there would have been no revival of Romanism. I suppose England never had so enlightened a monarch. He was more like Charlemagne than Richelieu. Contrast him with Louis XIV., a contemporaneous despot: Cromwell devoted all his energies to develop the resources of his country, while Louis did what he could to waste them; Cromwell’s reign was favorable to the development of individual genius, but Louis was such an intolerable egotist that at the close of his reign all the great lights had disappeared; Cromwell was tolerant, Louis was persecuting; Cromwell laid the foundation of an indefinite expansion, Louis sowed the seeds of discontent and revolution. Both indeed took the sword,–the one to dethrone the Stuarts, the other to exterminate the Protestants. Cromwell bequeathed to successors the moral force of personal virtue, Louis paved the way for the most disgraceful excesses; Cromwell spent his leisure hours with his family and with divines, Louis with his favorites and mistresses; Cromwell would listen to expostulations, Louis crushed all who differed from him. The career of the former was a progressive rise, that of the latter a progressive fall. The ultimate influence of Cromwell’s policy was to develop the greatness of England; that of Louis, to cut the sinews of national wealth, and poison those sources of renovation which still remained. The memory of Cromwell is dear to good men in spite of his defects; while that of Louis, in spite of his graces and urbanities, is a watchword for all that is repulsive in despotism. Hence Cromwell is more and more a favorite with enlightened minds, while Louis is more and more regarded as a man who made the welfare of the State subordinate to his own glory. In a word, Cromwell feared only God; while Louis feared only hell. The piety of the one was lofty; that of the other was technical, formal, and pharisaical. The chief defect in the character of Cromwell was his expediency, or what I call jesuitism,–following out good ends by questionable means; the chief defect in the character of Louis was an absorbing egotism, which sacrificed everything for private pleasure or interest. The difficulty in judging Cromwell seems to me to be in the imperfection of our standards of public morality. We are apt to excuse in a ruler what we condemn in a private man. If Oliver Cromwell is to be measured by the standard which accepts expediency as a guide in life, he will be excused for his worst acts. If he is to be measured by an immutable standard, he will be picked to pieces. In regard to his private life, aside from cant and dissimulation, there is not much to condemn, and there is much to praise. He was not a libertine like Henry IV., nor an egotist like Napoleon. He delighted in the society of the learned and the pious; he was susceptible to grand sentiments; he was just in his dealings and fervent in his devotions. He was liberal, humane, simple, unostentatious, and economical. He was indeed ambitious, but his ambition was noble. His intellectual defect was his idea of special divine illumination, which made him visionary and rhapsodical and conceited. He was a second-adventist, and believed that Christ would return, at no distant time, to establish the reign of the saints upon the earth. But his morals were as irreproachable as those of Marcus Aurelius. Like Michael Angelo, he despised frivolities, though it is said he relished rough jokes, like Abraham Lincoln. He was conscientious in the discharge of what he regarded as duties, and seemed to feel his responsibility to God as the sovereign of the universe. His family revered him as much as the nation respected him. He was not indeed lovable, like Saint Louis; but he can never lose the admiration of mankind, since the glory of his administration was not sullied by those private vices which destroy esteem and ultimately undermine both power and influence. He was one of those world-heroes of whom nations will be proud as they advance in the toleration of human infirmities,–as they draw distinction between those who live for themselves and those who live for their country,–and the recognition of those principles on which all progress is based. It was a stormy night, August 30, 1658, when the wild winds were roaring and all nature was overclouded with darkness and gloom, that the last intelligible words of the dying hero were heard by his attendants: “O Lord! though I am a miserable sinner, I am still in covenant with Thee. Thou hast made me, though very unworthy, an instrument to do Thy people good; and go on, O Lord, to deliver them and make Thy name glorious throughout the world!” These dying words are the key alike to his character and his mission. He believed himself to be an instrument of the Almighty Sovereign in whom he believed, and whom, with all his faults and errors, he sought to serve, and in whom he trusted. And it is in this light, chiefly, that the career of this remarkable man is to be viewed. An instrument of God he plainly was, to avenge the wrongs of an insulted, an indignant, and an honest nation, and to impress upon the world the necessity of wise and benignant rulers. He arose to vindicate the majesty of public virtue, to rebuke the egotism of selfish kings, to punish the traitors of important trusts. He arose to point out the true sources of national prosperity, to head off the troops of a renovated Romanism, to promote liberty of conscience in all matters of religious belief. He was raised up as a champion of Protestantism when kings were returning to Rome, and as an awful chastiser of those bigoted and quarrelsome Irish who have ever been hostile to law and order, and uncontrollable by any influence but that of fear. But, above all, he was raised up to try the experiment of liberty in the seventeenth century. That experiment unfortunately failed. All sects and parties sought ascendency rather than the public good; angry and inexperienced, they refused to compromise. Sectarianism was the true hydra that baffled the energy of the courageous combatant. Parliaments were factious, meddlesome, and inexperienced, and sought to block the wheels of government rather than promote wholesome legislation. The people hankered for their old pleasures, and were impatient of restraint; their leaders were demagogues or fanatics; they could not be coerced by mild measures or appeals to enlightened reason. 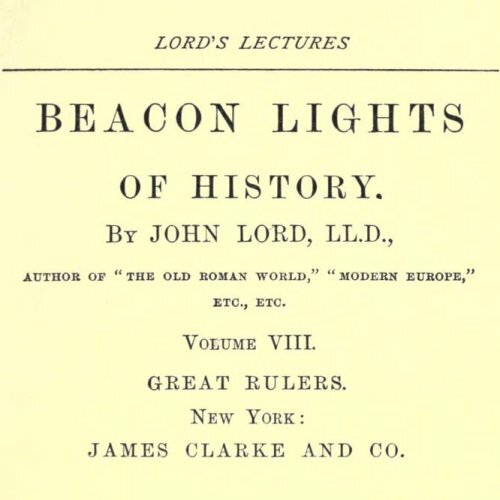 Hence coercive measures were imperative; and these could be carried only by a large standing army,–ever the terror and menace of liberty; the greatest blot on constitutional governments,–a necessity, but an evil, since the military power should be subordinate to the civil, not the civil to the military. The iron hand by which Cromwell was obliged to rule, if he ruled at all, at last became odious to all classes, since they had many rights which were ignored. When they clamored for the blood of an anointed tyrant, they did not bargain for a renewed despotism more irksome and burdensome than the one they had suppressed. The public rejoicings, the universal enthusiasm, the brilliant spectacles and fêtes, the flattering receptions and speeches which hailed the restoration of Charles II., showed unmistakably that the régime of Cromwell, though needed for a time, was unpopular, and was not in accordance with the national aspirations. If they were to be ruled by a tyrant, they preferred to be ruled according to precedents and traditions and hallowed associations. The English people loved then, as they love now, as they ever have loved, royalty, the reign of kings according to the principles of legitimacy. They have shown the disposition to fetter these kings, not to dispense with them. So the experiment of Cromwell and his party failed. How mournful it must have seemed to the original patriots of the revolution, that hard, iron, military rule was all that England had gained by the struggles and the blood of her best people. Wherefore had treasures been lavished in a nine years’ contest; wherefore the battles of Marston Moor and Worcester; wherefore the eloquence of Pym and Hampden? All wasted. The house which had been swept and garnished was re-entered by devils worse than before. Thus did this experiment seem; teaching, at least, this useful and impressive lesson,–that despotism will succeed unwise and violent efforts for reform; that reforms are not to be carried on by bayonets, but by reason; that reformers must be patient, and must be contented with constitutional measures; that any violation of the immutable laws of justice will be visited with unlooked-for retribution. But sad as this experiment seemed, can it be pronounced to be wholly a failure? No earnest human experiment is ever thrown away. The great ideas of Cromwell, and of those who originally took up arms with him, entered into new combinations. The spirit remained, if the form was changed. After a temporary reaction, the love of liberty returned. 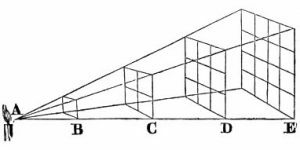 The second revolution of 1688 was the logical sequence of the first. It was only another act in the great drama of national development. The spirit which overthrew Charles I. also overturned the throne of James II. ; but the wisdom gained by experience sent him into exile, instead of executing him on the scaffold. Two experiments with those treacherous Stuarts were necessary before the conviction became fastened on the mind of the English people that constitutional liberty could not exist while they remained upon the throne; and the spirit which had burst out into a blazing flame two generations earlier, was now confined within constitutional limits. But it was not suppressed; it produced salutary reforms with every advancing generation. “It produced,” says Macaulay, “the famous Declaration of Right, which guaranteed the liberties of the English upon their present basis; which again led to the freedom of the press, the abolition of slavery, Catholic emancipation, and representative reform,” Had the experiment not been tried by Cromwell and his party, it might have been tried by worse men, whose gospel of rights would be found in the “social contract” of a Rousseau, rather than in the “catechism” of the Westminster divines. It was fortunate that revolutionary passions should have raged in the bosoms of Christians rather than of infidels,–of men who believed in obedience to a personal God, rather than men who teach the holiness of untutored impulse, the infallibility of majorities, and the majesty of the unaided intellect of man. And then who can estimate the value of Cromwell’s experience on the patriots of our own Revolution? His example may even have taught the great Washington how dangerous and inconsistent it would be to accept an earthly crown, while denouncing the tyranny of kings, and how much more enduring is that fame which is cherished in a nation’s heart than that which is blared by the trumpet of idolatrous soldiers indifferent to those rights which form the basis of social civilization. Bulstrode’s Memoirs; Ludlow’s Memoirs; Sir Edward Walker’s Historical Discourses; Carlyle’s Speeches and Letters of Oliver Cromwell; Macaulay’s Essays; Hallam’s Constitutional History; Froude’s History of England; Guizot’s History of Cromwell; Lamartine’s Essay on Cromwell; Forster’s Statesmen of the British Commonwealth; Clarendon’s History of the Rebellion; Hume and Lingard’s Histories of England; Life of Cromwell, by Russell; Southey’s Protectorate of Cromwell; Three English Statesmen, Goldwin Smith; Dr. Wilson’s Life of Cromwell; D’Aubigné’s Life of Oliver Cromwell; Articles in North American, North British, Westminster, and British Quarterlies on Cromwell.